Psychiatrists and counselors are known as "specialists." With many insurances, going to see a psychiatrist means more out-of-pocket costs than going to see your family doctor. For those diagnosed with a mental illness, they can't just go to the doctors once a year for a check-up. Instead, they may have to see a counselor once or twice a month with sessions costing at least $50, on top of seeing a psychiatrist for refills to their prescriptions. And this can cost a lot of money. I don't think this is fair. I believe that many people who need help are holding back because of the cost, not knowing where to go and because of the stigma still held against those with mental illness. Despite studies showing that mental illness is an imbalance in the brain, some people still don't understand this and don't consider it as a disease, like it is. Seeking help is NOT a weakness. 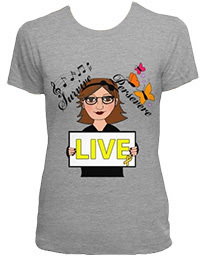 It is an illness that cannot be overcome on your own, just as much as cancer will not just disappear without treatment. Others see those with mental illness as a danger to society — stereotyping them as the extreme. When things happen like the man who killed three people in Fort Hood on Wednesday, this only increases this stereotype. While these are the stories broadcasted across the media, these instances are very rare. In reality, most people suffering from mental illness are not violent at all. Depression and anxiety are very common, and people diagnosed with these disorders just need help. I'm hoping that a new law will make mental health care more accessible and will also help erase the stereotype. 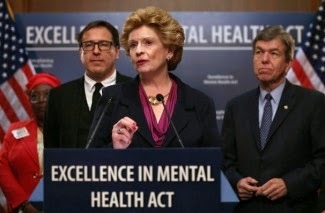 Senator Debbie Stabenow's "Excellence in Mental Health Act" was passed by the Senate late Monday night and was signed into law by President Barack Obama on Tuesday. CBS reports that the legislation is expected to expand access to community mental health services and strengthen the quality of care provided for those living with mental illness. The legislation will provide federal funding for pilot programs in eight states that will be selected to help improve mental health centers. Stabenow, a professional trained social worker, said, "This new law is a landmark step forward in the effort to expand community mental health services for people living with mental illness and reduce the stigma around mental illness." Glad it passed. so many, probably at least half, who are in our prisons or homeless or addicted to substances are mentally ill. the tragedy is if treated one can live a decent life with a mental illness. Nice job Monica.